Vinay Nair, DO, is an Assistant Professor of Medicine in the Division of Nephrology and the interim medical director of the Recanati Miller Transplantation Institute of the Mount Sinai Medical center in New York. He completed his nephrology fellowship in Winthrop Hospital after which he completed a transplant nephrology fellowship in the Icahn School of Medicine at Mount Sinai. 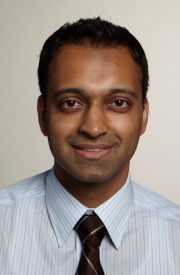 Dr. Nair’s clinical and research interests include transplanting highly sensitized patients utilizing desensitization protocols and kidney paired exchange. He is part of a national steering committee created to improve the transition process of pediatric transplant recipients to adult care. He is also part of the nephrology committee of the National Kidney Registry. 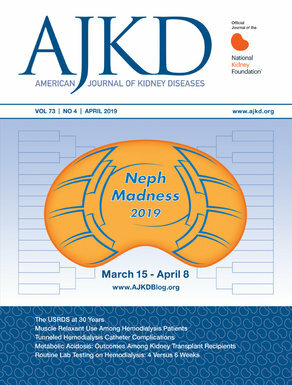 He is a former associate member of Faculty of 1000, an online Journal review service and continues to participating in peer review for transplant and nephrology journals. Dr. Nair’s educational activities include being the director of the transplant nephrology fellowship program at Mount Sinai and transplant site director for several local fellowship training programs. He has lectured in both local and national conferences and is a co-author of a chapter on transplant immunology and use of immunosuppression in a new electronic clinical guide to decision making in medicine.